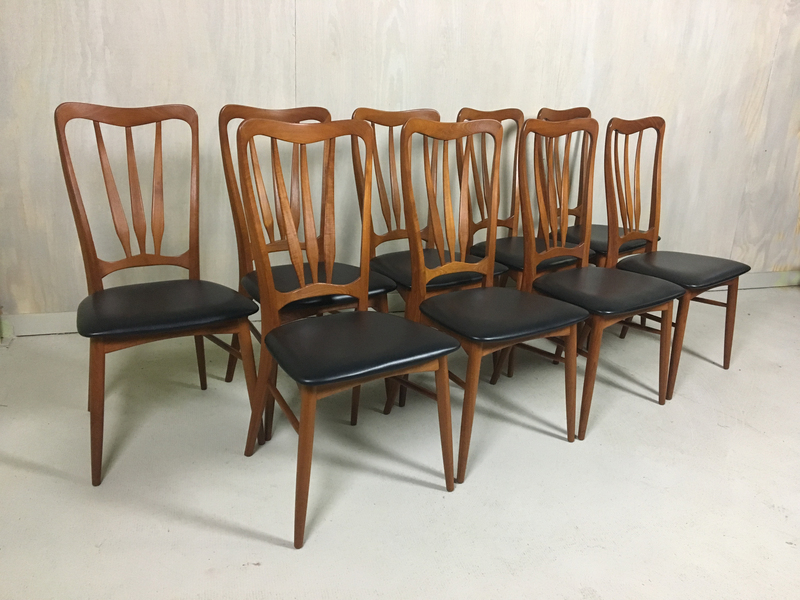 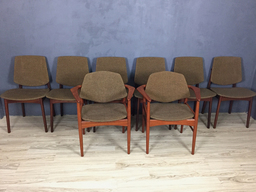 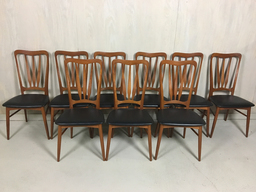 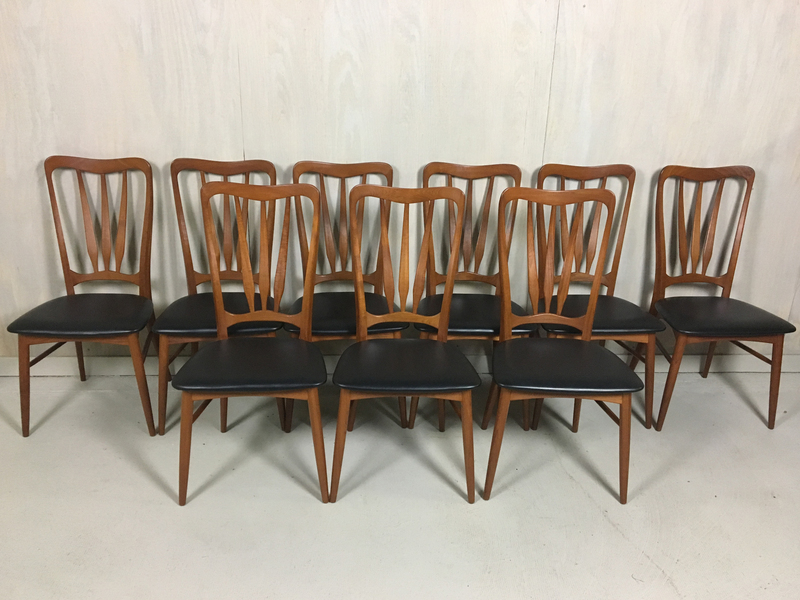 Set of nine chairs designed by Niels Koefoed for Koefoed Hornslet of Denmark. 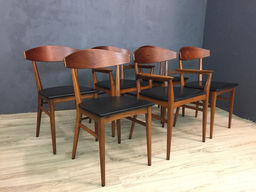 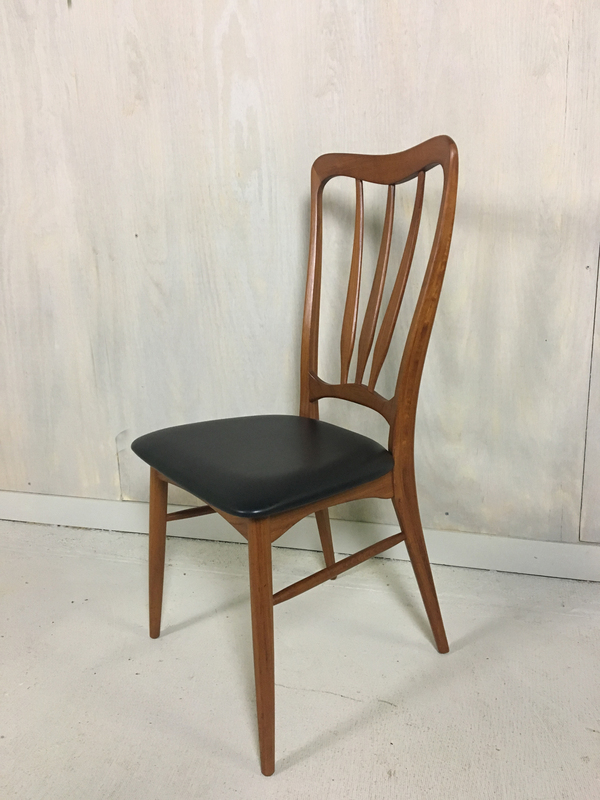 Named the "Ingrid" chair after Koefoed's daughter, the highly-organically shaped chair was manufactured in Denmark in the 1960s. 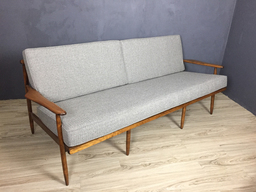 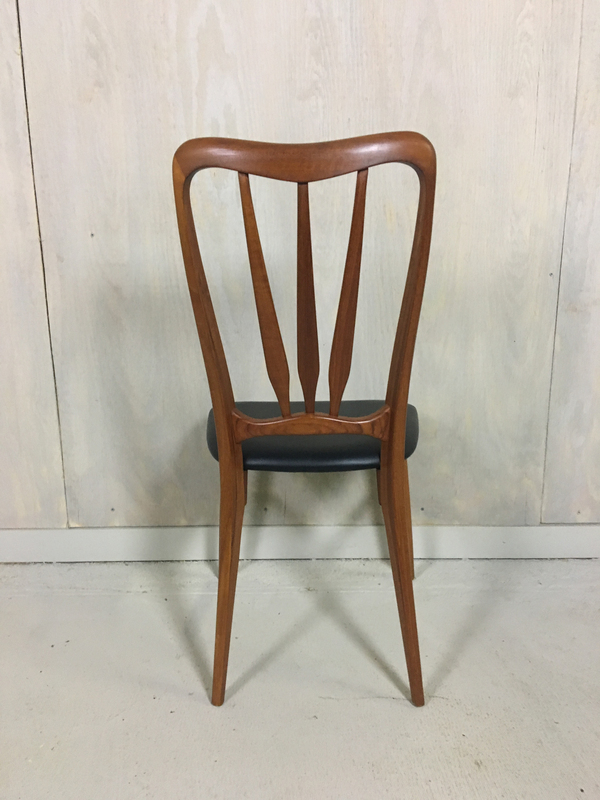 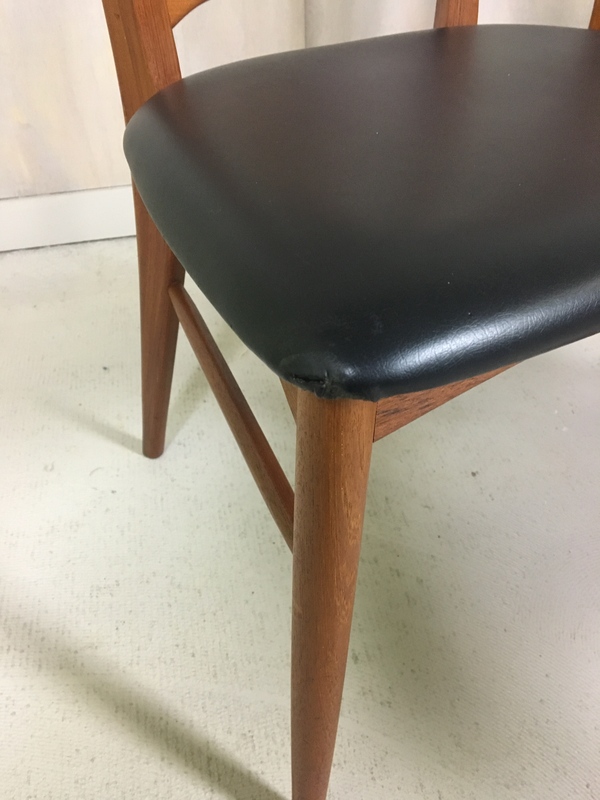 The "Eva" is another well-known chair design by Koefoed. 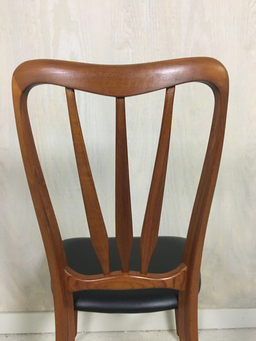 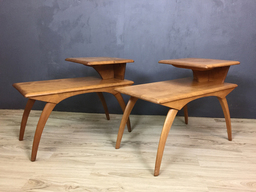 These sculptural chairs are notable for their unique curved back and slender elegance. But while delicate in appearance, they sturdy and functional. 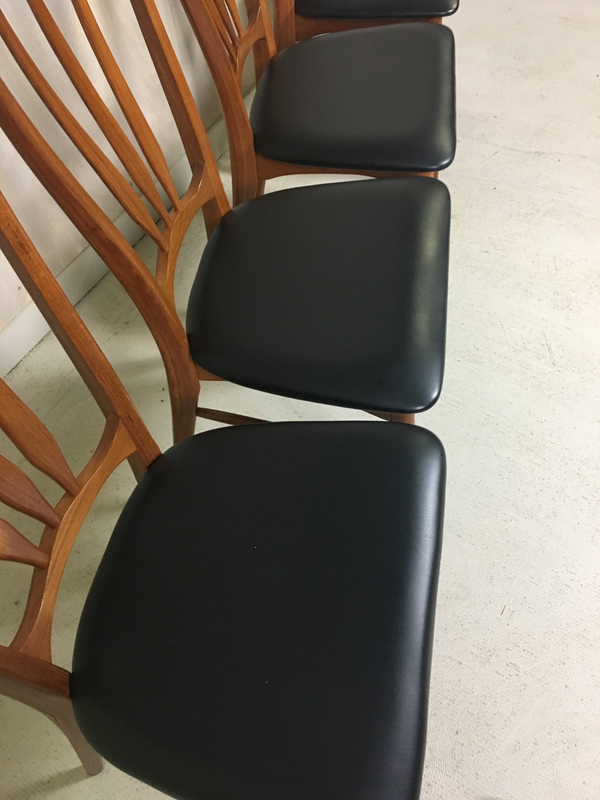 Frames and original black vinyl seats are in excellent condition. 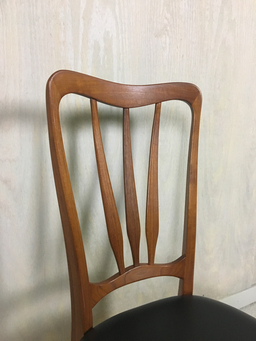 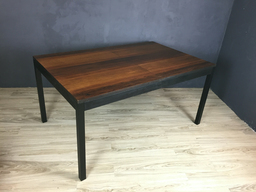 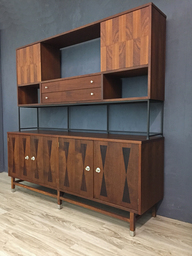 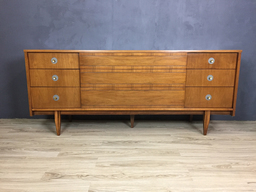 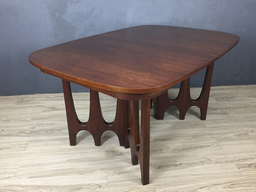 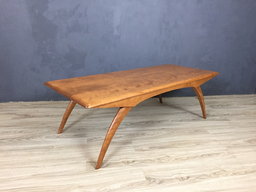 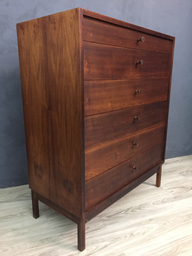 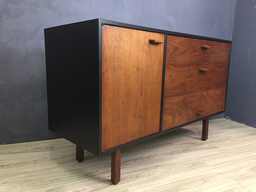 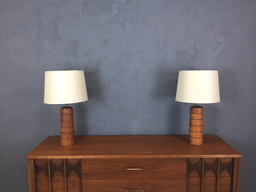 Teak has been reconditioned with Danish oil. The corner of one seat has a minor flaw in the vinyl--see photo. 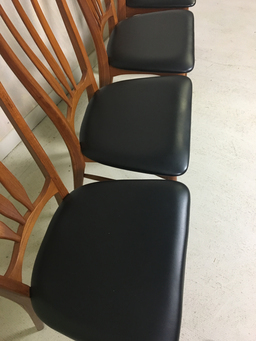 38.5” h (seat height is 17.5”) x 18.5” w x 15.